Check out our Vimeo Page! 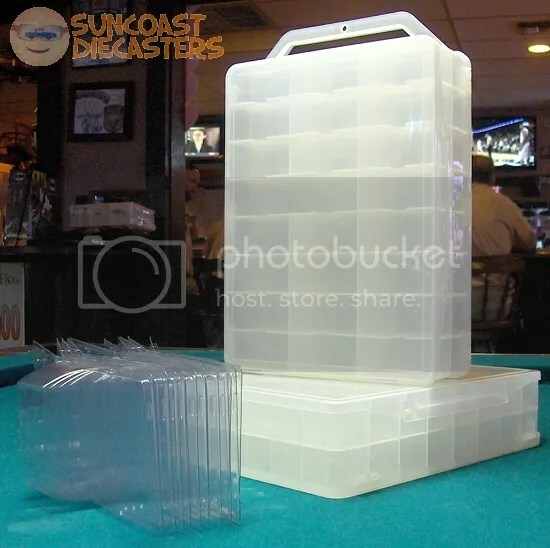 Fellow collectors, Suncoast Diecasters has become quite the Social Media phenomenon! When we moved from a traditional HTML-coded website to this WordPress blog, we gained the ability to offer updates via e-mail subscription. Shortly after that, we added a Twitter feed. Then in January of last year, Original Ken and his daughter set up a Facebook page for our club (and I linked this blog to both feeds, so all three update simultaneously). Finally, with the advent of our second video, in August of last year I created a Vimeo account. See you at the March meeting! Oh, don’t forget, tomorrow is K-Day! …And by “us”, I mean Big Tractor Mike, Original Ken, and myself. Because we’re the only ones who attended the April meeting. BTM, Ken and I reasoned amongst ourselves that t’other members were saving their money for the Diecast Show the following day. Clearly, they disregarded my admonition of “First the meeting, then the Diecast Show!”. So, at this point, you’re probably figuring that not a lot of trading took place, and thus not a lot of new photos. Essentially correct; nonetheless, we do have some new photos for you (no foolin’! ), so please enjoy. Oh, hey, I almost forgot: There’s a brand new page for you to enjoy as well! Pete’s boy picked up three cars from Ken. 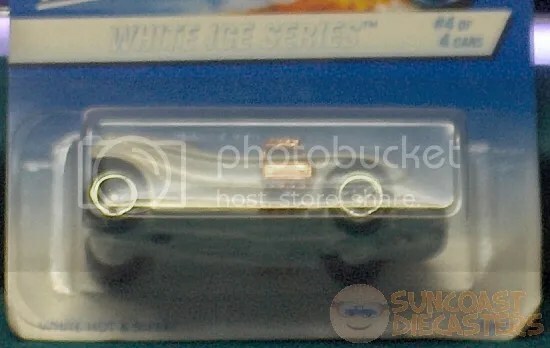 First we have the White Ice Series Twin Mill II. 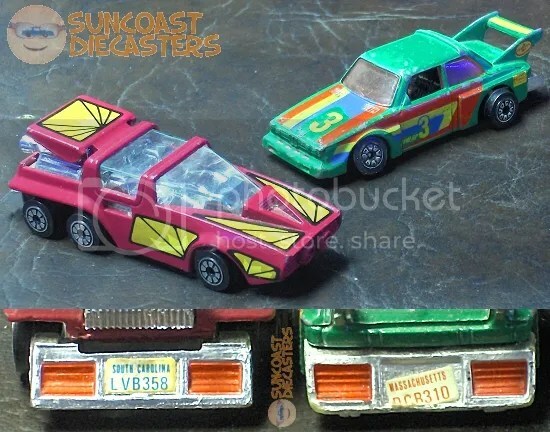 Ah, yes, the heady days of the “four-car series”, when one would go to the stores over and over and over, trying to find all four bleepin’ cars. The Mill is the Thrill of the Chill! Or, the Chill of the Mill! Or … Milli VaChilli, or … Um …Say, how ’bout that Chill Wills? Next up is the ’63 Corvette, from the Dealer’s Choice Series. Like I said, over and over and over. And finally, this 1968 Mustang Cobra Jet, in Coca-Cola livery, by Matchbox. (To save time, I’ll simply refer to it as the Matchbox Coca-Cola Mustang.) The Matchbox Coca-Cola Mustang comes in special packaging, with a reproduction storage box. 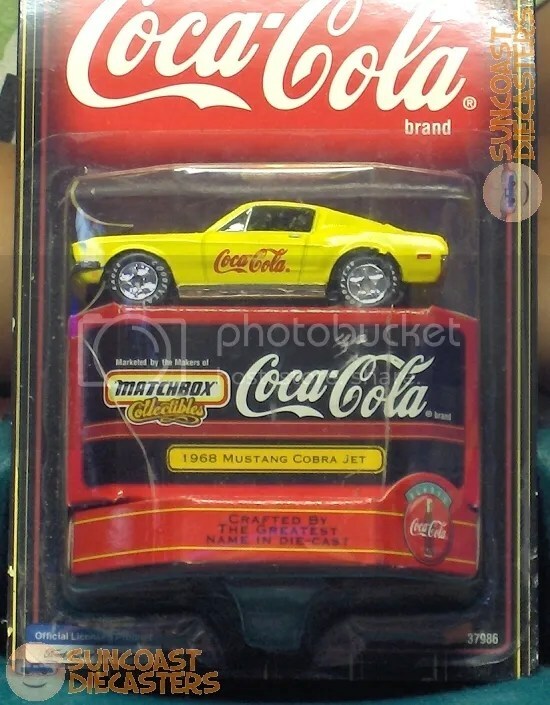 The Mustang Coca-Cola Matchbox has attractive “racing” wheels and tires, and looks very sporty in bright yellow. The Mustbox Cola-Coca Matchstang is certainly a nice addition to any young boy’s toy car collection. You’ve been there. Admit it. 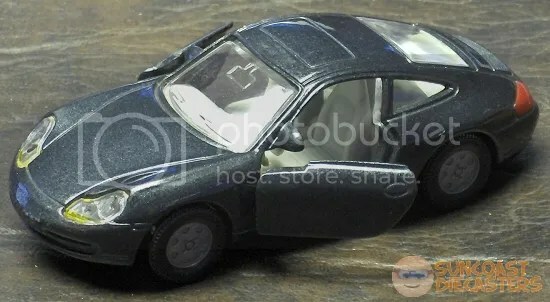 You see a toy car model that you think you just may already have, you really can’t quite remember, so you go ahead and buy it anyway, realizing you may in fact be buying it again. And you justify this to yourself because after all, it’s better to have two than none. (Sigh) Such is the case with this 30th Anniversary edition Old Number 5. I know that I bought several models in the “30-A” series, so it’s entirely possible that when I bought this from Ken, I may have in fact been buying a second one. And that’s okay, because Old Number 5 is too cool to pass up (again). It also makes a nice Find of the Month(*), two. Er, too. 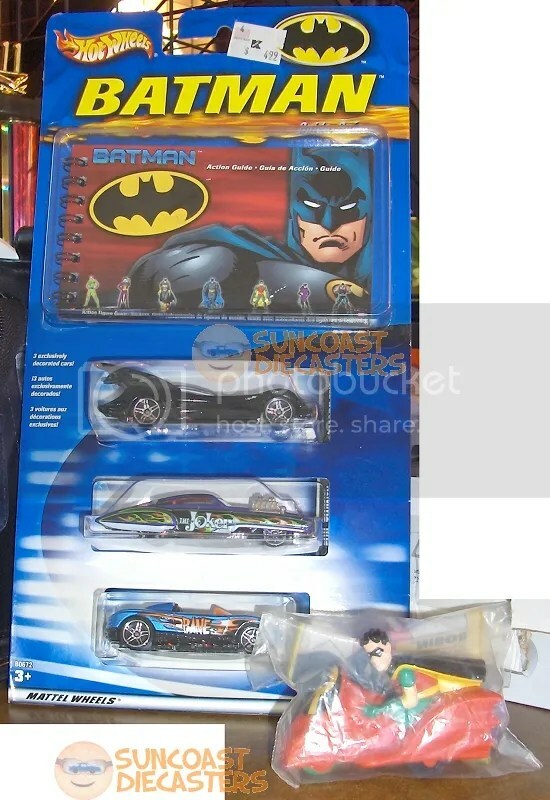 How many times can one buy the same toy car? Keep counting…. 2015 starts off with a great start! A brand-new year. New hopes, new dreams; new problems, new fears. New challenges and new adventures. And, most importantly, new toy cars and photos to go with ’em! However, first I’m going to be serious for a moment and address some items here at the site. One: we’ve had our first deletion. There was a page here titled Message to Members. 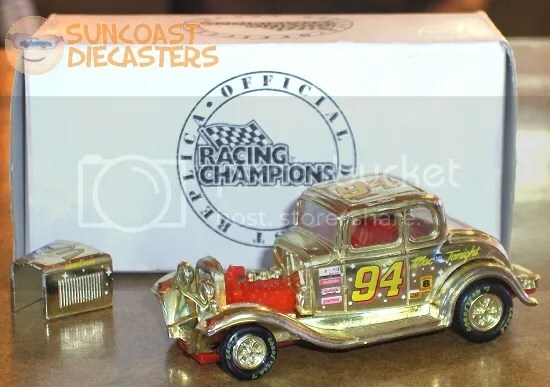 That page covered current members’ concerns about the move of Suncoast Diecasters from a privately-owned web site to this WordPress blog. This blog version of our club site is well over a year old, so by now all members have had a chance to read it; the page had served its purpose and was past its prime. Two: An even more serious and rather somber item. In 2011 a cherished member passed away. An In Memoriam page took the place of our usual Welcome page for a time, then was given its own link on the old site’s Table of Contents. That page has now been added here at WordPress. Three: This is more up-beat. In case you hadn’t noticed, for 2015 I replaced our SunRacer/logo image with a brighter, more colorful version. In the heady excitement of the holidays, you may have forgotten what the old one looked like (shame on you!). So, for your edification, here they are, side by side by Sondheim. Compare and contrast, art students! Four: You know we’ve had a Twitter feed for some time. We now have a Facebook page as well. Truly, Suncoast Diecasters has become a social media empire! With that, let us hie thusly to the photos! You may perhaps notice that the number of photos for this update is somewhat mild compared to previous ones. ‘Tis very simple: Post-Holiday Financial Compression. Or, “After the holidays, ain’t nobody gots no moneh … Honeh!” True, not much trading occurred during this meeting, but it was an enjoyable regathering nonetheless! NO, Ken, this has nothing to do with the movie! Kenny and I are at the 49er Flea Market from dark-thirty (me, not Kenny) to roughly around 12:00pm every Sunday, unless it’s raining cats and dogs. We are at row I – 25/26, the very last row (farthest east row in the back, next to the parking lot), about in the middle. Look for my green truck and white trailer. We do the flea market from October to the end of April, then break for the summer months. 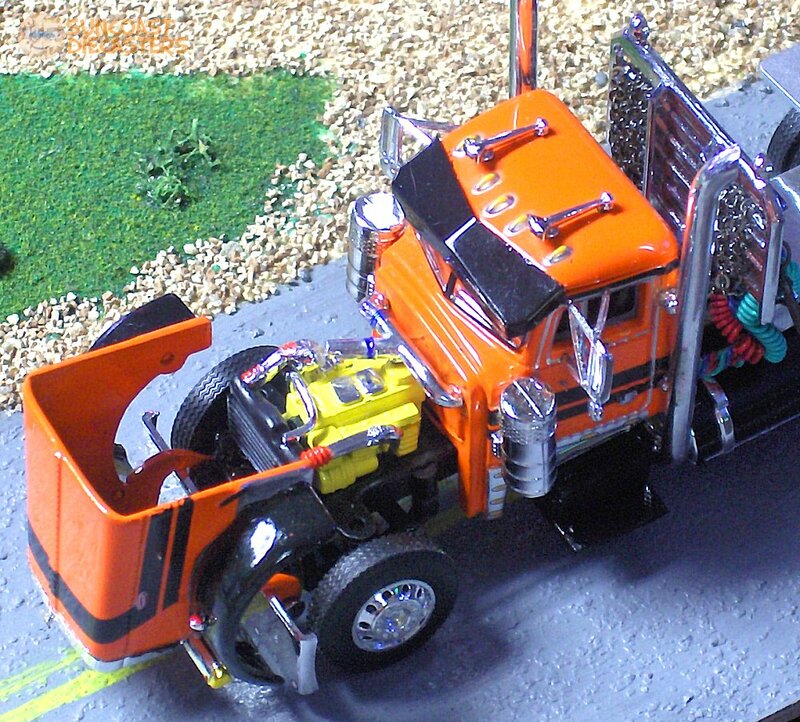 We have two tables and a trailer FULL of various die-cast models — If you don’t see what you want, ASK!! It could be here somewhere, or in the trailer. Come on down and see me!! Approximate location of Mike’s approximate location. 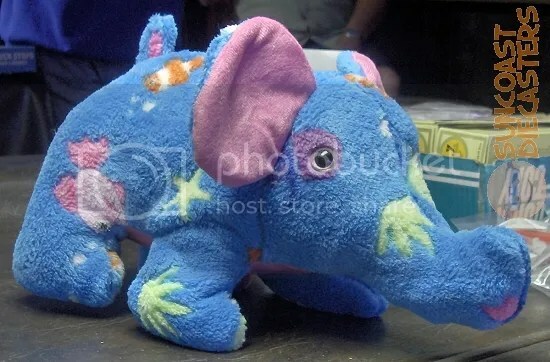 Krista has a relative who has some other stuffed animal which has the same pattern as the elephant below. (Parse away, English students!) That other stuffed animal came from Build-A-Bear. She spotted this elephant in a claw game at the Sports Bar. (“How the elephant got in the claw game, I’ll never know.”) After a few rounds — and by rounds I mean quarters — she won the thing. Krista intends to present the elephant to her relative not only as a companion piece for the other stuffed animal, but also for the amusement of pairing the $20.00 BAB doll with this under-$5.00 pattern partner. This is, in fact, the Elephant in the Room. 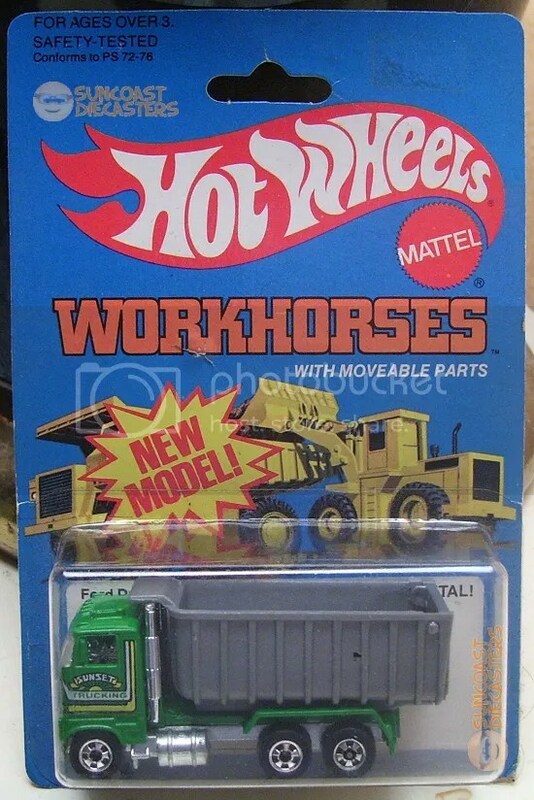 Bill acquired this Ford Dump Truck, which is from the 1982 Workhorses series. This one is the Hong Kong version; there`s a Malaysia version as well. 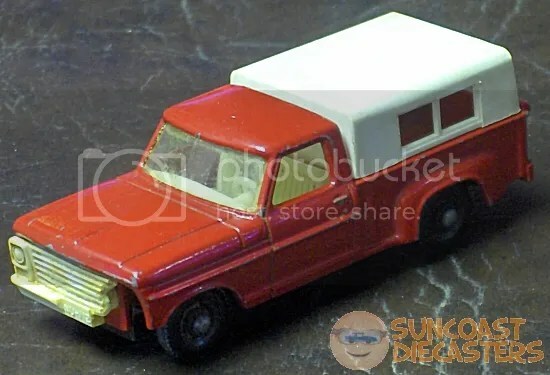 The tampo says “Sunset Trucking”. Don Henley drove this down to the Sunset Grill. No, seriously. Ken obtained this Porsche 911 Turbo Cabrio by Siku. Its base interestingly lists various technical details about the actual car, such as “8 Cylinder; 3300ccm”. I’m Siku you saying such things about Ken! Ken obtained this Porsche 911 Carrera by Siku. Its base interestingly lists various technical details about the actual car, such as “6 Cylinder; 3387ccm”. I’m Siku you nearly duplicating such paragraphs about Ken! And here we see that Ken has completely abandoned his toy car collecting hobby in favor of much more genteel pursuits such as latchhook knitting and needlepoint crafting. Gonna miss him. But, I’ll tearfully think of him whenever I hear this song. Definitely not a Jammer case. Nope, nope, nope. Don’t even think of it as being such a thing. Because it’s not that. 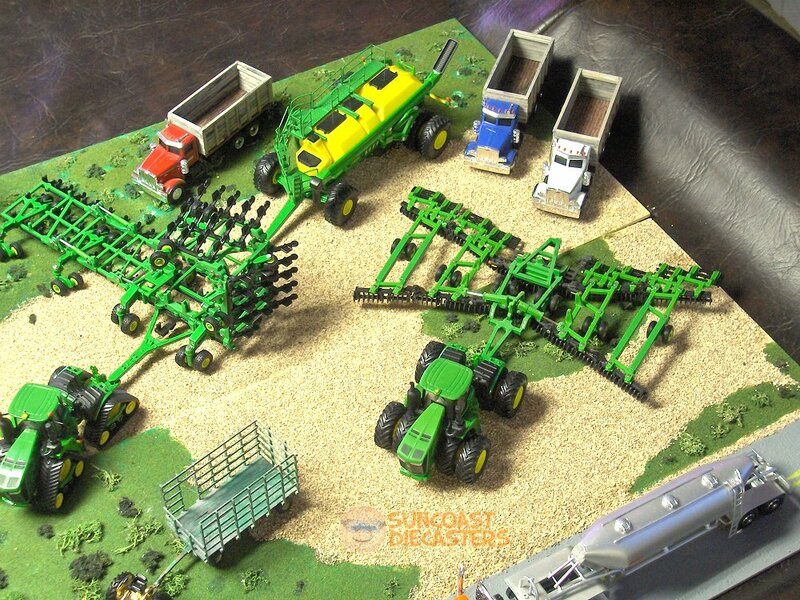 Big Tractor Mike done did me a super-duper big-time RAOK with these three Kenner Fast111s models. And no, it’s not camera flash glare or any such thing; the tag on the middle model is simply damaged. The Neapolitan ice cream of toy cars! This is Blazin’ Bandit, KF1’s take on the Pontiac Firebird Trans Am. 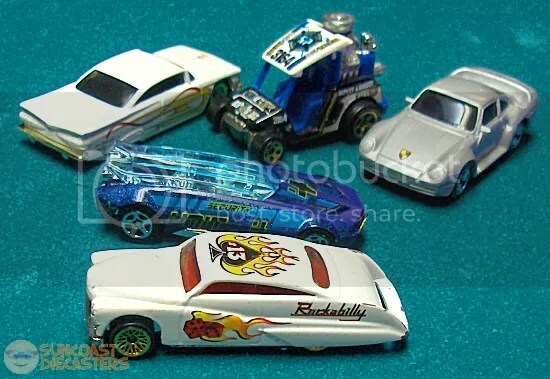 Like Hot Wheels, KF1s offered very well-designed “production” vehicles as well as “fantasy” vehicles. It’s named Bandit ‘coz it’s *just* like the one Burt Reynolds drove in ”Gator”. Cam Rammer, a slightly stylized interpretation of the typical Can-Am design, such as McLaren. 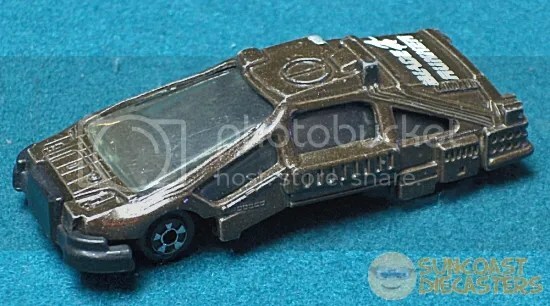 I’m going to presume that its first name is Cam rather than Can because someone at Kenner realized that it would’ve otherwise been suitable only for San Francisco. So, how does this compare to Hot Wheels’ McLaren M6A? And finally, we have Street Boss. Aside from the somewhat cartoonish styling of the fenders, this is one of my favorite types of cars: a very hot-rodded classic frame. The high-volume engine would’ve been cool enough. The in-fender lights and prow-like airscoop in front of the radiator impart a Larry Wood or George Barris quality to the design. Coupled with the classy ’30s-era cabin, the result is just the kind of sweet, wild custom that me likes. Very happy to declare this our Find of the Month! (*) Thanks, Mike! …Wait, this is *not* the car that Bo and Luke drove, right? A Merry Diecast Update to One and All! 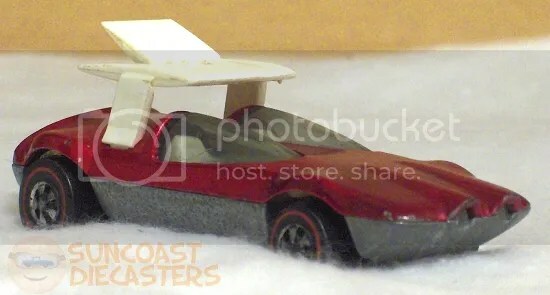 I have to hand it to the Lord, making a Snoopy car available when I already had the Red Baron so I could do a four-wheel version of the classic air battle. 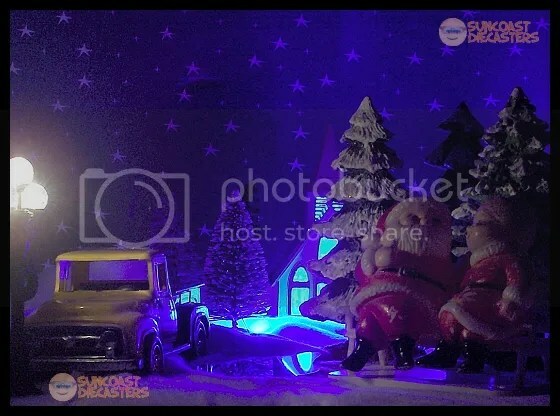 Well, along with a big ol’ stack of new photos, there several other updates: our Calendar has 2014 all closed out; the holiday diorama at the top of the page has been added to our Christmas panels; and — big announcement — all the Members’ Galleries from the original site are now available here. Just mouse over Galleries on the menu bar atop this page, then mouse over Members’ Galleries, then click on the gallery you want to see. Now, I have to tell you something about the look of these galleries. The old site was web-based, thus all the pages were coded in HTML. For the sake of speed and simplicity, rather than completely rebuild all the galleries here, I just dropped whole coded pages into blank WordPress templates. This process works … mostly. As WordPress does not recognize all HTML tags, much of the formatting has been either lost or oddly interpreted. Over time I’ll strip out the unneeded code, but meanwhile the pages look a bit, um, off. For example, I’m already halfway through Big Tractor Mike’s page. The first half of his gallery has the same clean appearance as the other WordPress pages here, while the second half appears rather clunky and ungainly – much like Big Tractor Mike himself. 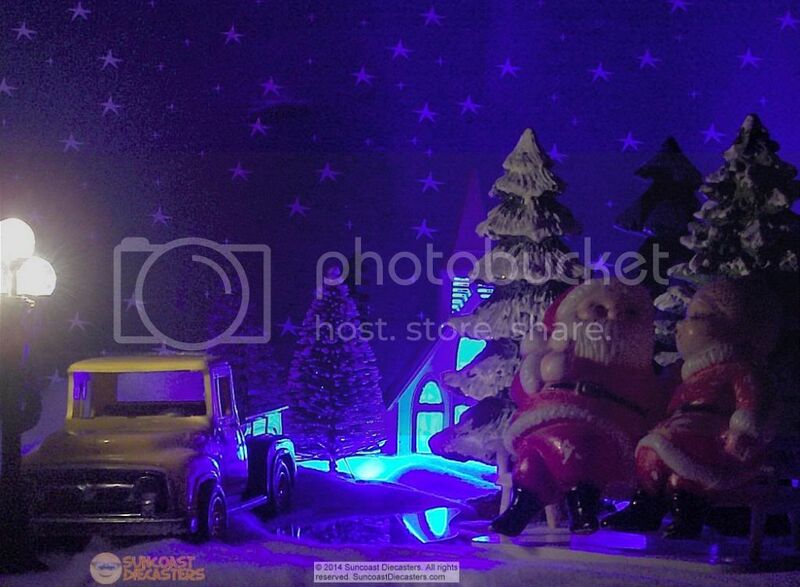 And a special thanks to GoodStockPhotos for the “snow-covered pines” backdrop. Now on to the photos! Our December 2014 meeting starts with a RAOK from me to Big Tractor Mike. 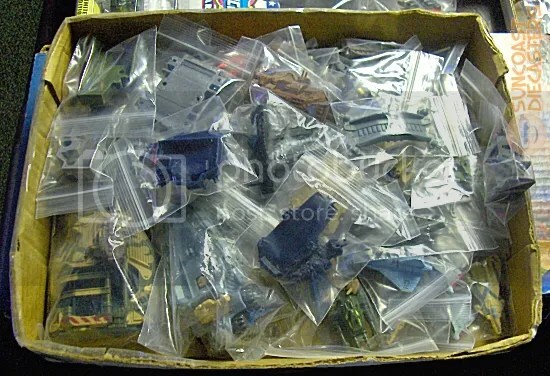 Below are just two of about forty or more vehicles and accessories from Kenner’s Mega Force line. No, no, this has nothing to do with the 1982 movie. This is a “futuristic” battle between the Triax and V-ROCS nations, which loosely represent Euro-socialists and NATO respectively. The series came in two lines. 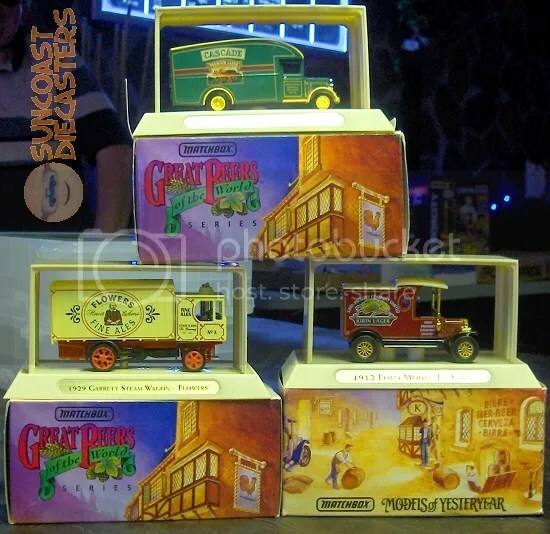 One was a blister-pack of three basically realistic vehicles with a military-esque accessory (such as the radar tower below). The other was individual command vehicles which, being on the same unspecified scale as the blister trios, were so large as be cartoonish. No, no, there are no TAC-COMs; this is not from the movie. 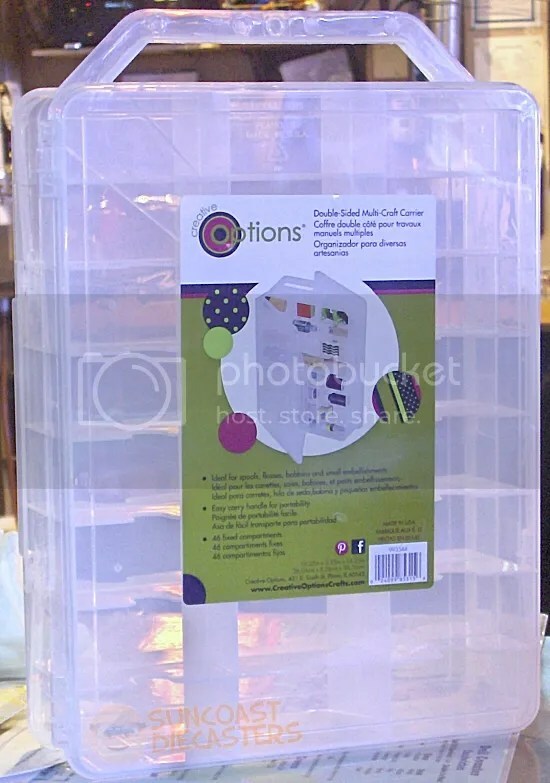 One example is the TAR-TRAKS carrier. It’s a land vehicle which can deliver up to four tanks to the battlefield. If a Mega Force tank is comparable to a modern real-world tank, the TAR-TRAKS machine would be about the size of a small office building. For the last time, this has nothing to do with the movie! 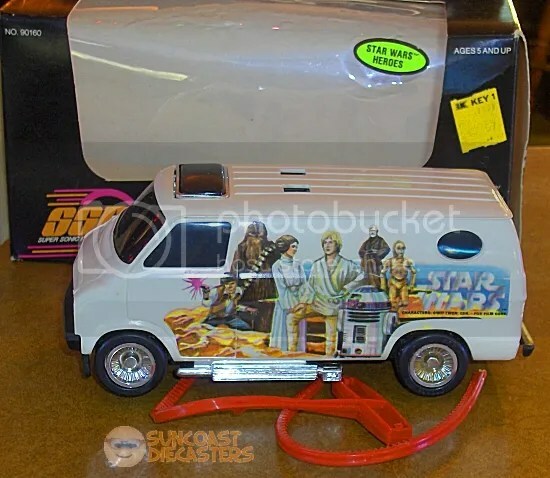 Interesting marketing gimmick for the blister trios: one vehicle was always a command vehicle. You could tell because it was physically different. 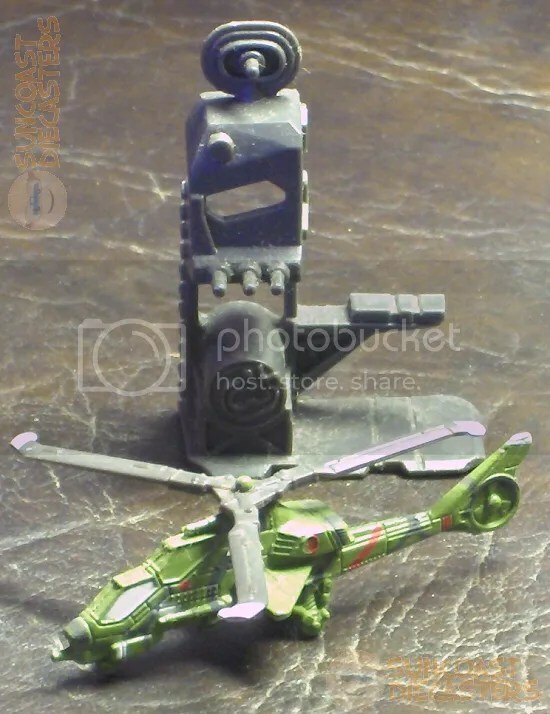 For example, the “command chopper” version of the one above has five blades. Mike delicately tip-toes back into the world of Transformers, with this purchase from me of Blaster and several mini-cassette characters. Starting on the upper left and going left-right, left-right, they are Rewind, Eject, Slugfest, Overkill, Rain Dance, Grand Slam, Beastbox, Squawktalk and Ramhorn. In the age of the iPod, would these guys even bother transforming back from robot form? Mike C. made a (comparatively) rare appearance, and RAOK’d members (plural) with these sweet T-Hunt Custom ’62 Chevejo, packaged nicefully in ProTech protector shells. Shell removed because, you know, glare. 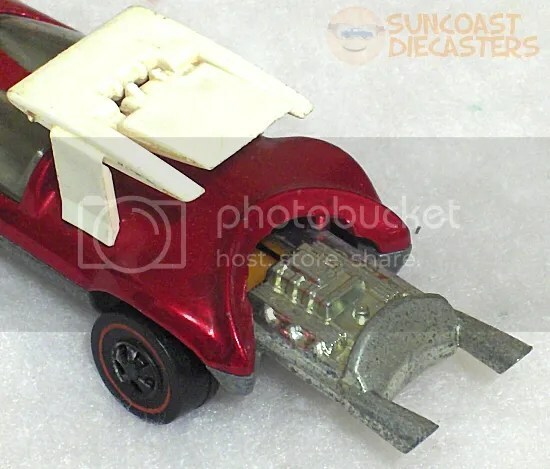 Bill ROAK’d me with this sweet maroon Saturn Seeker from Kenner’s Fast111s line, and Ken ROAK’d me with this tasty green Dynamo from Kenner’s Fast111s line. Life … is good. Bob had this awesome (awwwe-SOMMMME!) 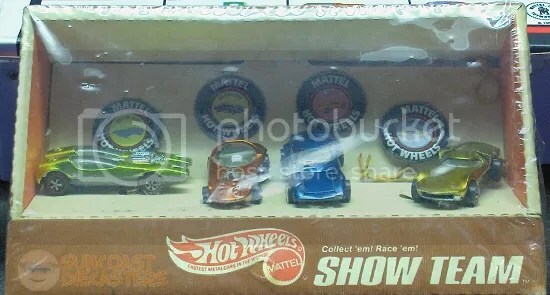 “Show Team” boxed set, still shrink-wrapped and mostly still with original rubber bands holding the cars in place. This set is so rare, I can’t any info on it online. Feel free to submit data! As stated previously: Complimentary drool cups are available in the lobby. 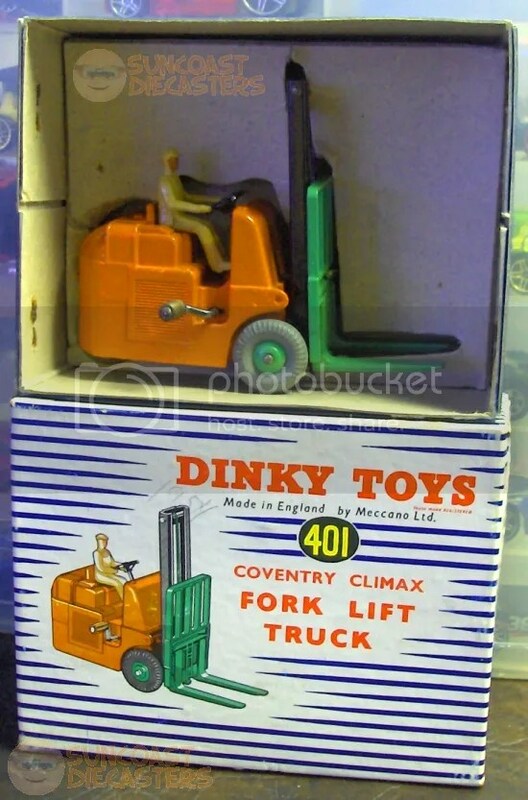 Bob also had this Dinky fork lift. Which, to use the vernacular, isn’t so dinky. The toy is nearly the size of a 6-volt lantern battery. No scale is stated, but I’m guessing it’s in the 1/32 range. Didn’t Miller use this recently on the O’Reilly Factor? Tom gets into the “holiday spirits” (Comedy!) with this triple serving of Lager lorries (More comedy!). They’re all from a subset of Matchbox’s Models of Yesteryear series named, quite inexplicably, Great Beers of the World. Not the 50th Anniversary Hess Truck, but they’ll do. Tom grooves on in his holiday shopping with this krazy-kolored Kool Kombi, an original-edition Sunagon from BTM, and this beautiful Mercedes 300 SE from Matchbox. No, your eyes are not lying; yes, the 300 SE has operating partses. Yes, kids, working doors, trunks and other such finery were *standard* on toy cars way back when! 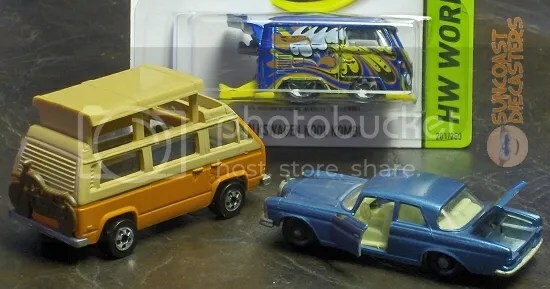 Clockwise from left: Green Matchbox Superfast VW Golf (1976, no. 7); magenta Matchbox Superfast Ford Capri (1970, no. 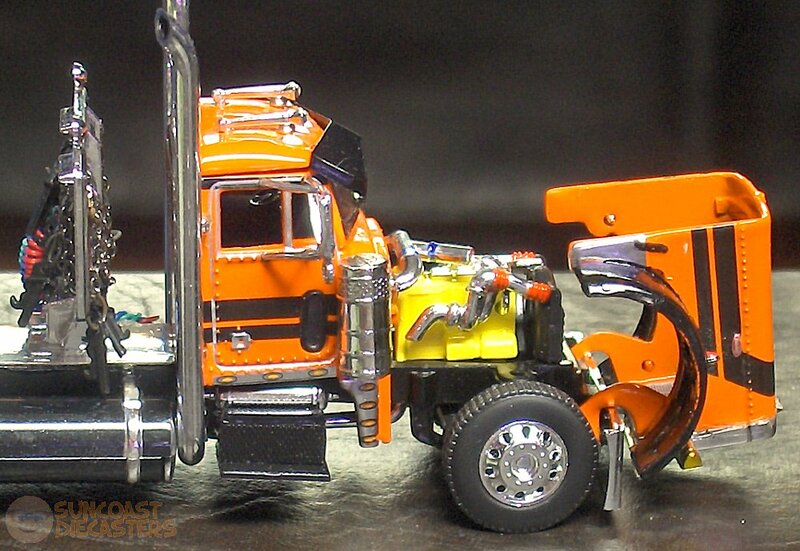 54); yellow Hot Wheels Peterbilt Dump Truck (Extras series); and yellow Matchbox Superfast Mod Rod (1971, no. 1). By the way, 1971 was the year Bill was born. Awwwwww! A completely unique photograph, entirely unlike any other photograph in this update. 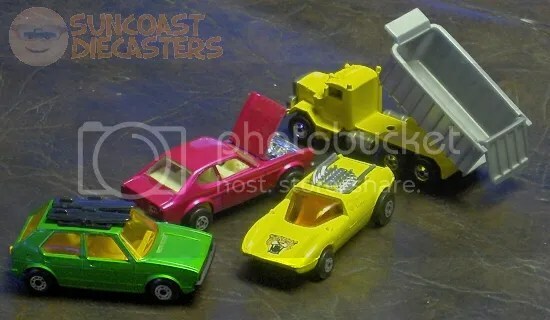 Clockwise from left: Matchbox Beach Hopper, from the Rolamatics series (1973, no. 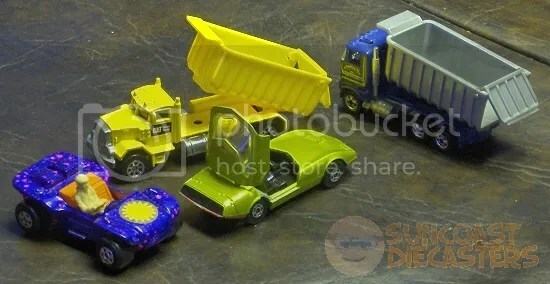 47); yellow Hot wheels Dump Truck with CAT Diesel Power tampo on doors (1998) [Note: Came originally in a baggie]; blue Hot Wheels Ford Dump Truck (1982); and light green Matchbox Superfast Dodge Charger III concept (1970). Hey, did you know that Bill was born in 1971? Awwwwww! A photograph strikingly similar to the photograph shown above. They slice! They dice! They fold, spindle and mutilate! They even make Julienne fries! Now how much would you pay? 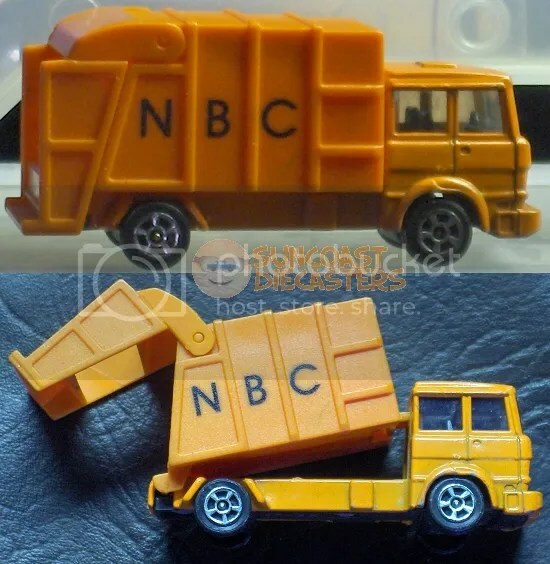 I purchased this Corgi NBC garbager from Ken. Now, you know for a certainty that Ken collects garbage trucks; it’s quite unheard of for him to part with one. However, this’n’s a duplicate (he’s culling his collection), so he put it on the table, whence I purchased it. I think it’ll look good next to my other TV news trucks. Not that I’m editorializing on a certain network’s journalistic quality or anything! I also bought this Corgi racer from Ken. I’ll tell you more about it when I find it! I remarked to Ken that it was odd that he’d buy a truck with such damage. He said he has a “minty” one at home, but it’s missing its camper top. That’ll buff right out, mack. Five minutes, tops. Proving that Mike C. did in fact RAOK members (plural) with these sweet T-Hunt Custom ’62 Chevejo, packaged nicefully in ProTech protector shells, here’s Ken’s. 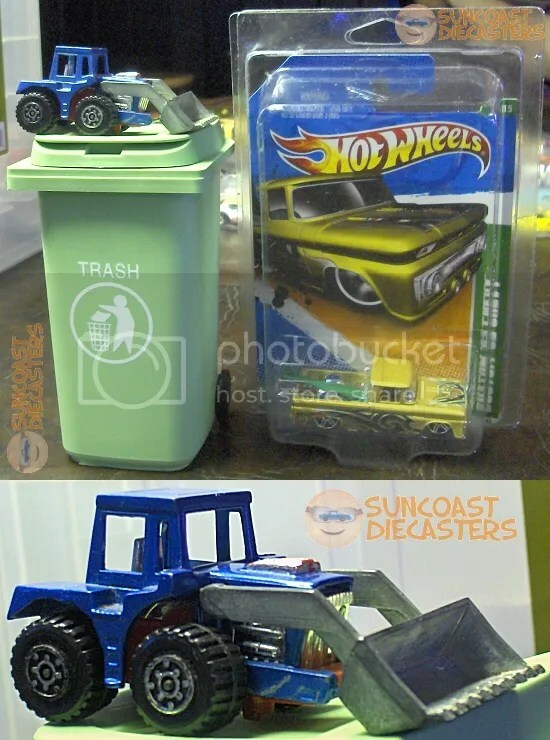 Along with the desktop trash can with which I RAOK’d him, and that blue tractor for which he owes me an explanation. One man’s trash is another man’s tractor. Okay, you’re wondering why I posted a photo so badly out of focus. It’s not out of focus; the PowerAde box in the background is sharp and clear! Heh. Okay, here’s what happened: Big Tractor Mike RAOK’d me beyond all RAOKedness with both this original Sunagon and this outrageously rare Swingin’ Wing from the outrageous imagination of Ira Gilford. I was attempting an artsy low-angle shot, when my camera’s battery went too low for the “live view” on the screen to be possible. So, knowing this would be the last shot of the day, I pointed the camera towards the cars and pressed the button. This is what I got. I posted this photo anyway to prove that these models actually came from our December meeting, and weren’t acquired separately. But since you deserve better, here it is: A nice, clear, well-focused shot of Swingin’ Wing. 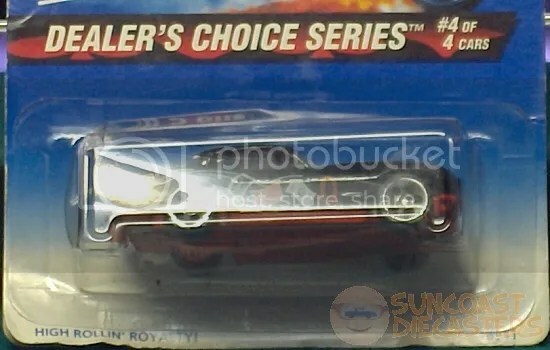 By the way, you see before you double the rarity: Not just a rare model, but one with its air brake still intact. Its color reminds me of RazzleBerry Dressing! Since it’s quite likely that some of you have never seen Swingin’ Wing before, in the spirit of the holiday I offer you this Christmas Bonus photo of the model’s base as well. You have to admit, it even looks sleek and fast from underneath! Oh no! Its engine fell out!! Ha! Holiday humor. No, the engine didn’t fall out. This just verifies that Ira Gilford indeed has an outrageous imagination. A sleek custom rod with a groovy spoiler? Cool enough. A functioning air brake built into the spoiler? Super cool. But a detailed engine that slides out on an Extend-O-Shelf gimmick? That’s wildly cool! Gives a whole new meaning to ”dashing through the snow”! Well, that wraps it up for 2014. 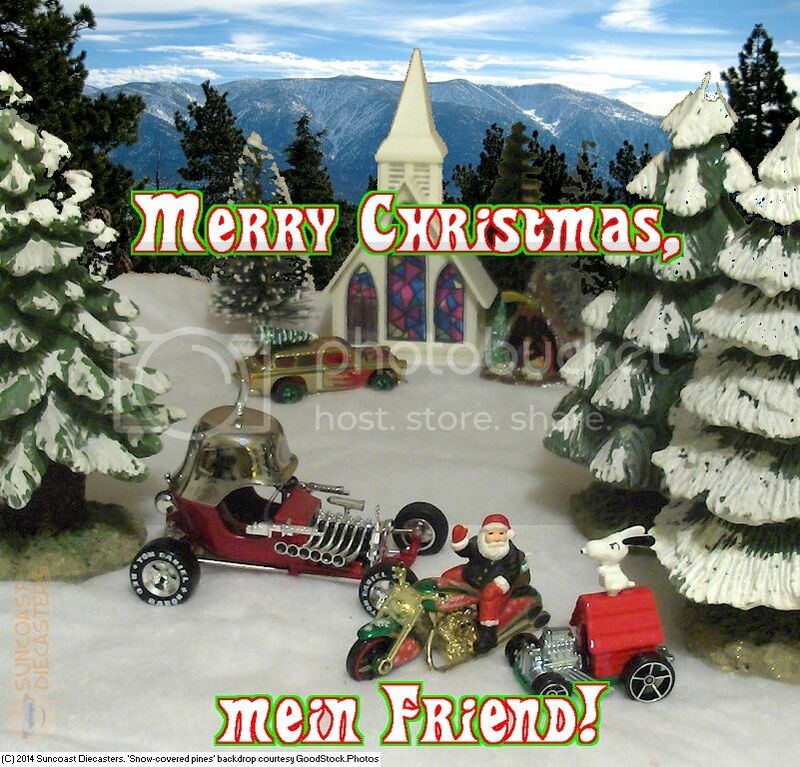 We here at Suncoast Diecasters wish you all a Merry Christmas, a Happy Hanukkah, and a very happy Happy New Year! See you at the January (2015!) meeting! The first K-mart Collectors’ Event of 2014 is here! Along with its tag-along cousin, the first Mail-in Promo of 2014! So after viewing the new photos (or, you know, whenever you feel like it), please mouse on over to our Calendar for those oh so informative links. Aaand speaking of links, we’re very happy to announce that our Links page is now up and running. Moreover, it’s been split into two groups: the 1/64-scale sites, and the not 1/64-scale sites. All for your convenience. Be sure to check out our new (yes, new!) 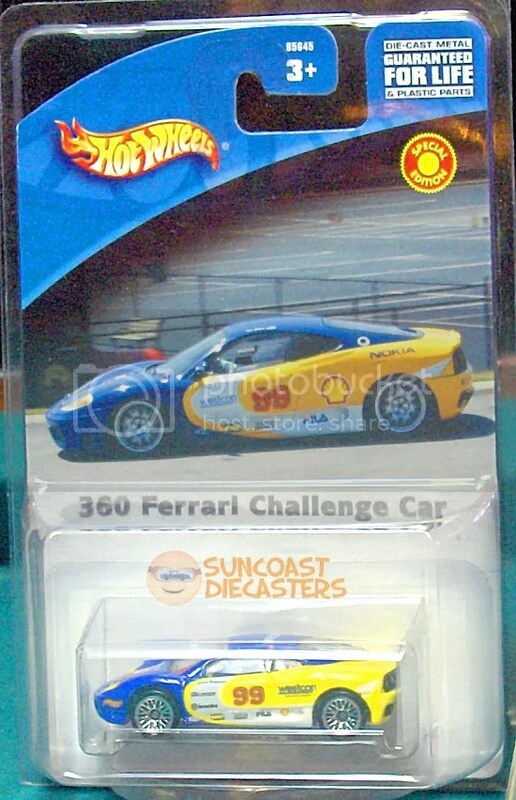 Top Link for a site that will companionize the 1/64-scale nostalgia that Suncoast Diecasters brings you. Now, onto the Janu — Oh, let me apologize for the “K’day, mate!” failed-humor attempt in the title. It was a jab at the “K-day” eventery. So, now onto the January photos! Ha! I told you 2014 was going to start out good! 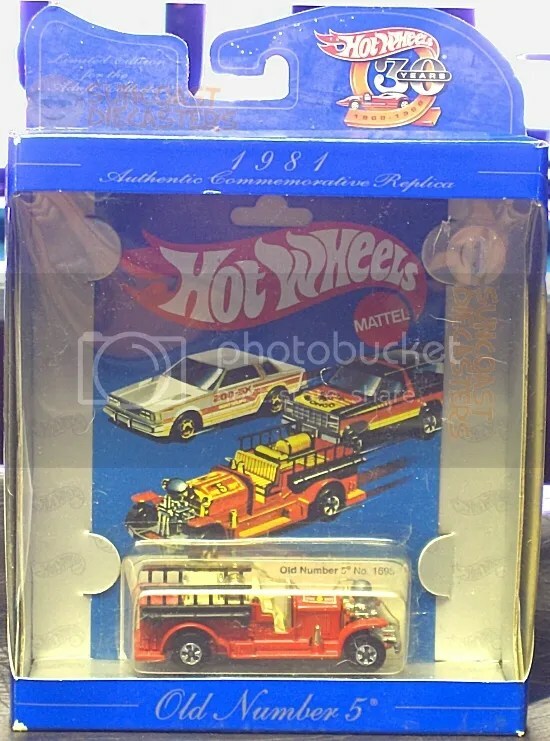 Got me three more Kenner Fast111s from Big Tractor Mike. 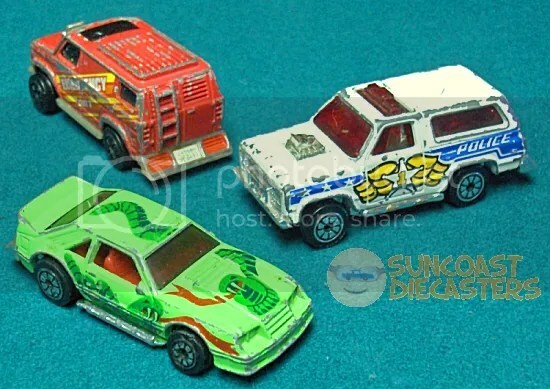 Clockwise from top left: Emergency Van; Cruiser Bruiser; King Cobra. Licenses? We don’ need no steenkin’ licenses! 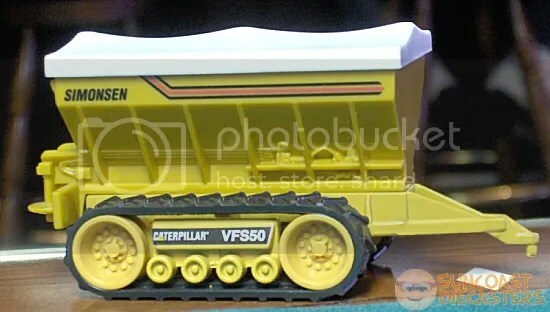 Doug picks up this Cat track-hopper. It actually has two hoppers, but the other one is gray and has smooth sides. 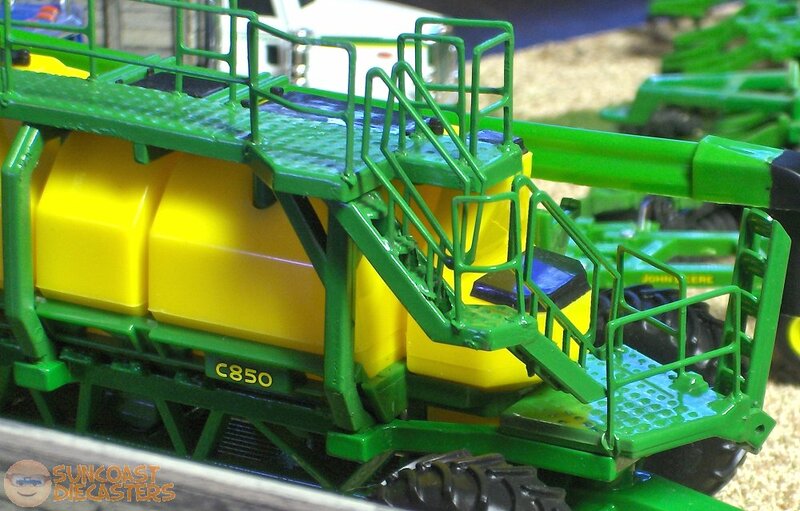 This one, with its mechanical detail and yellow color, gives a more “whole machine” look (IMHO). 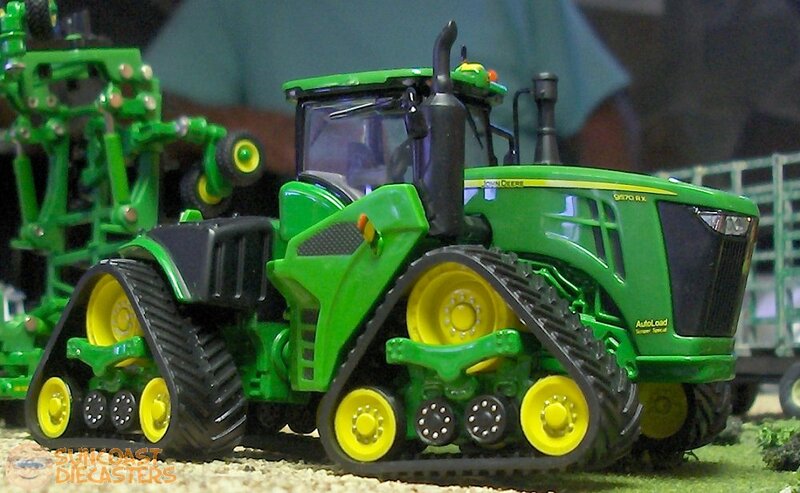 Last month, Big Tractor Mike bought everything that Jim brought to the meeting. This month, he done did it again — and here’s the proof! Your Honor, it’s clearly an open-and-shut case. 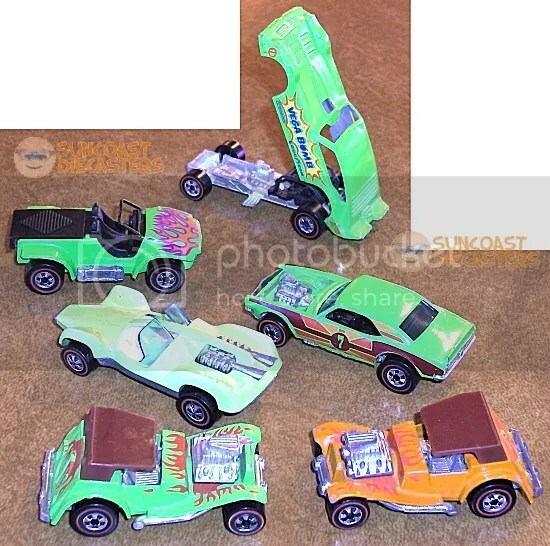 Krista bought this random assortment of cars from me, noting specifically that the “Rockabilly” Purple Passion was for her brother who, she tells me, lives the rockabilly lifestyle. I did not press her for details. 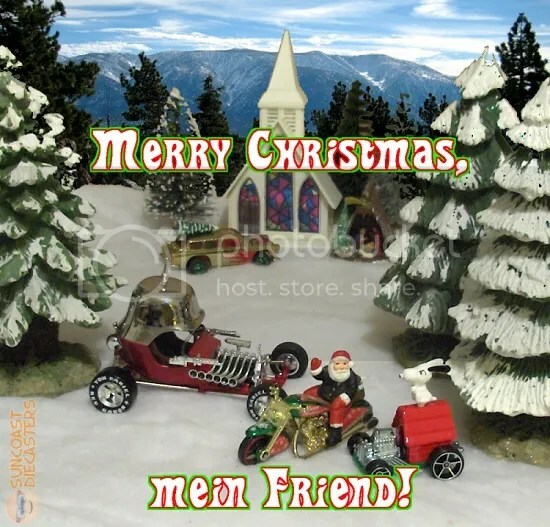 …Or maybe it’s an assortment of random cars. New guy Dave brought with him a veritable lake of Lamborghinis and flood of Ferraris. As soon as I can, I’ll add in Dave’s story about this rarity. The decals don’t match! Send it back! Bill, always on the lookout for variations, got double his money’s worth: color variations and card variations. Speaking of variations: Bill found this ‘Stang with incorrectly sized front wheels. 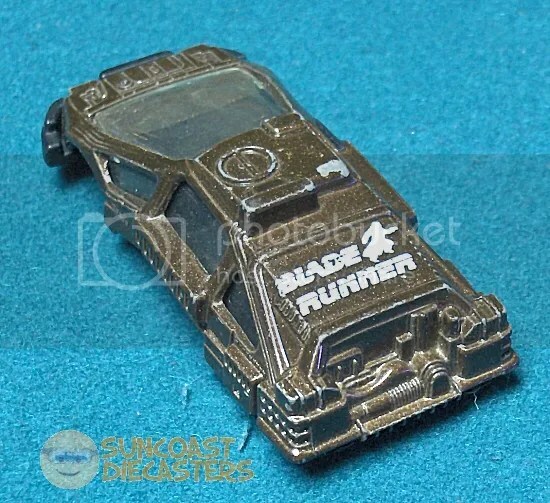 He couldn’t ID it as a known variation in any of the books, so he’s not certain whether this is in fact an unknown variation, or an error car. The fact that the front wheels are the correct type further clouds the issue. Either way, it has a nicely aggressive rake to it. Ken bought hisself some storage! (Thus lending further evidence to my contention that 2014 has started out nicely.) The all-important Jammers are from Big Tractor Mike (‘tho possibly late of Jim); the specifically-important Kar Keepers are from Dave. So, basically, Kenny bought some boxed air. Opening doors. Because, you know, realism. What more proof can there be than this, that 2014 has started out incredibly well? Kenny got more garbage trucks! Ken collects these automatically. Thus, “colectomatic”. Not the “Spinner” flying car. This is a ground vehicle. You can watch it Ertl — er, *hurtle* through traffic. Happy New Year, New Photos and New Gallery! Download a larger version of this image by clicking on it. 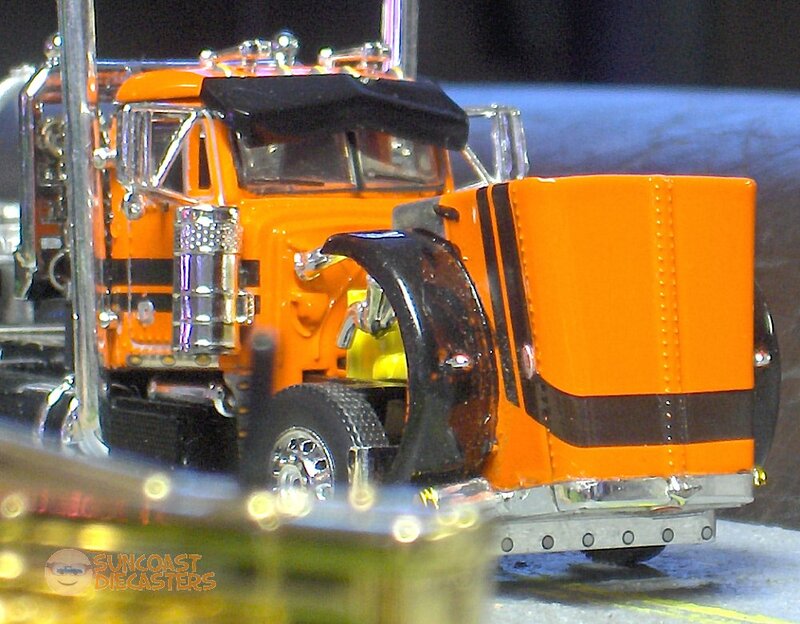 Long-time members of Suncoast Diecasters may have been wondering if I’d be doing this here on the new blog. For those of you who are new visitors, something I’ve been doing since 2008 on the original site is replacing the main home page between the December and January meetings with a Christmas-themed image. I’m very glad to have been able to come up with one for this year. And speaking of Christmas images, I can now very happily introduce to you the latest feature of our blog: Galleries! 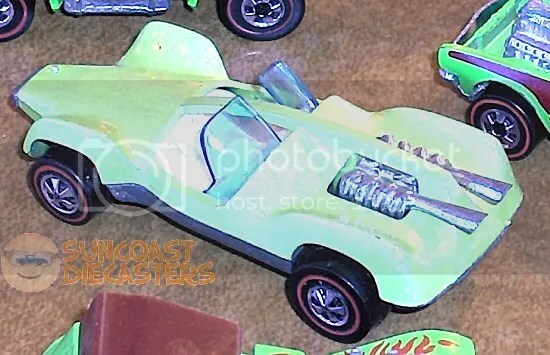 One of the things that made Suncoast Diecasters a great site is the well-organized archive of yearly galleries (plus the individual members’ galleries). I’ve been wanting to recreate the galleries here on the blog, and I realized, what better one to start with than a gallery of all our Christmas panels! Also, with the upload of this update’s photos, we’ve finally broken 1,000 photos in our PhotoBucket library! In fact, there’s exactly 1,010 photos — woo-hooo! Also also, the Calendar has been updated to close out the last couple of December items. So, with that, I wish you a Happy New Year 2014, and may God bless us, everyone! Now, onto the December photos! Krista yust goes nuts batty at Christmas, having stocked up on Gotham gear for stocking stuffers. Always make sure your sidekicks are hermetically sealed to ensure freshness. Bite-size bat-goodies make any holiday a … um … well, still a holiday, I guess. 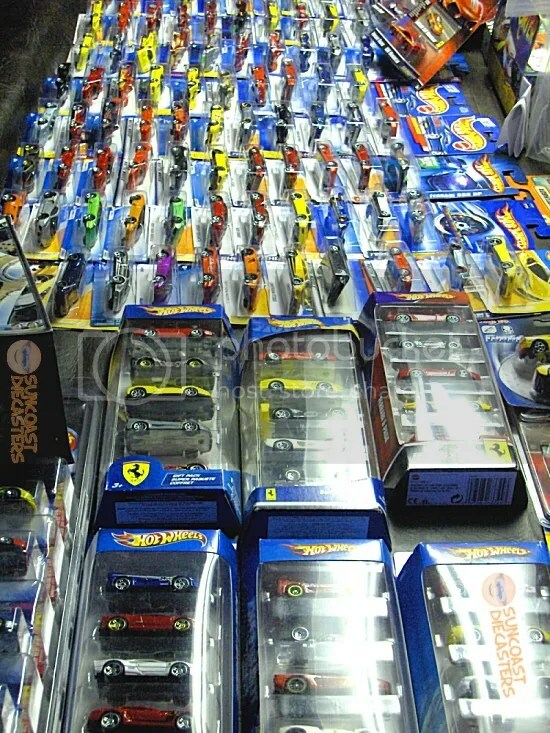 Ideal, Galoob, Hot Wheels, ERTL … Okay, fine, *everyone* can have a “micro” line! 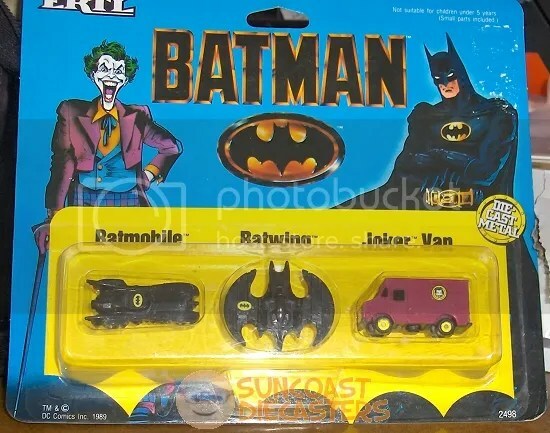 Here, clockwise from bottom center, she purchased from Your Humble Webmaster the Batmobile from The Brave and the Bold, the GreenGoblinmobile, the Phantommobile, the Mr. Freezemobile, and the, uh … um … the, um…. What? Why are you looking at me like that? WHAT!? Bill was clearly dreaming of a green Christmas with this verdant gathering. 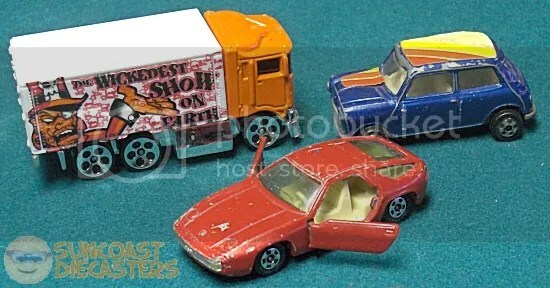 Clockwise from bottom left: Sir Rodney Roadster; Mantis; Sand Drifter; Vega Bomb; Heavy Chevy (’74 Flying Colors); and Sir Rodney Roadster in the incredibly rare “So orange it’s not even green anymore” color variation. A personal favorite of mine in the above photo is the Mantis. Today if you buy a new one off a peg, it’ll have only solid louvers (no exposed engine) and a fixed canopy. Mine was an earlier, perhaps transitional model; louvers, but the canopy still opened. Bill here displays the 1970-only release which featured both an opening canopy and the exposed engine. 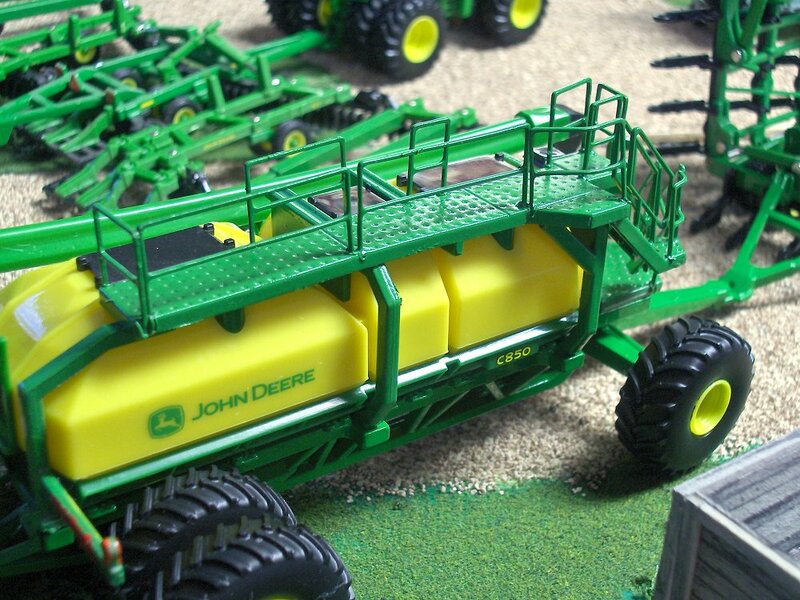 I still think I could punch holes in mine and add some, er, “after-market” engine pods…. 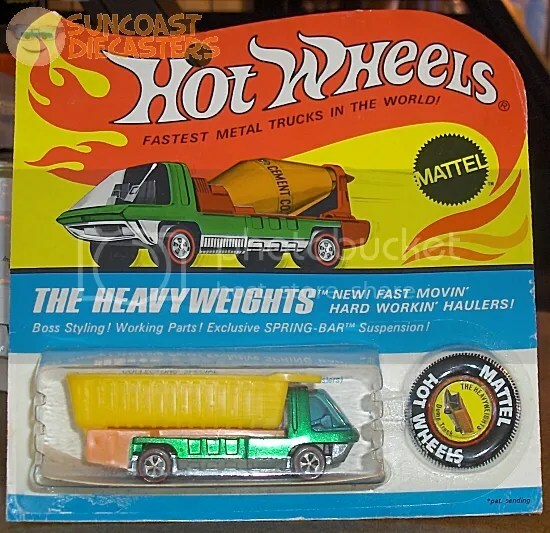 Bill scores super-big with this dang-near-mint-on-card Dump Truck from the 1970 The Heavyweights series. With the classic stylized Ira Gilford cab, wide card and collector button, this one serious slab of nostalgia. Boss styling! Working parts! Exaggerated hyperbole! Ken adds to his Foreign/Oddity collection with these German-edition Happy Meal toys (from Your Humble Webmaster). 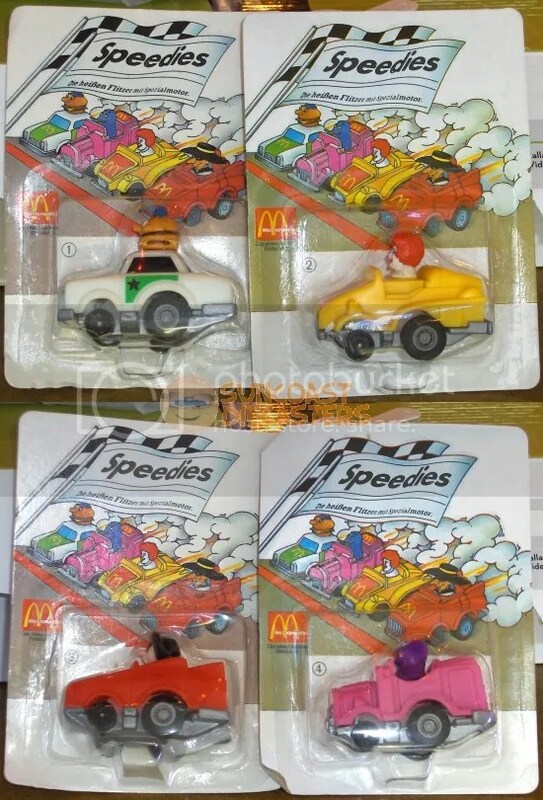 Not mere mini-models featuring McDonaldland characters (which would be cool enough), these little runners are equipped with pull-back motors, similar to Penny Racers. …You vanten ze Fries mitten zat? You may be thinking to yourself, This is not a toy car. (You may also find yourself living in a shotgun shack, but whatever.) 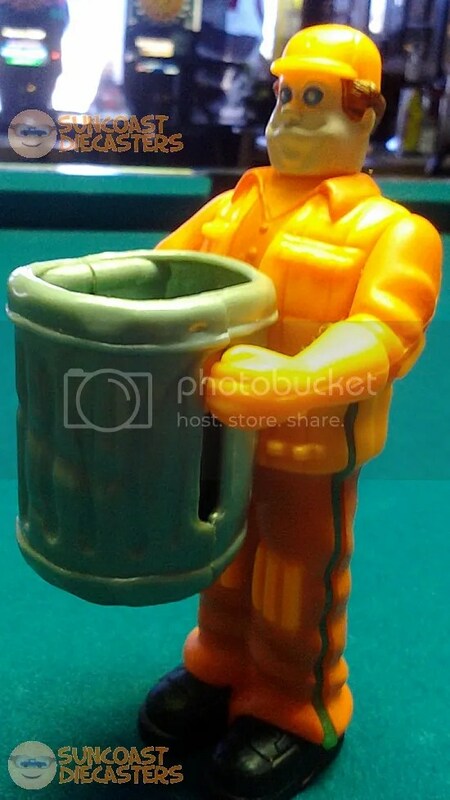 This is my Christmas RAOK to Ken: a garbage man action figure, from Kenner’s The Real Ghostbusters toyline. As you should know by now, Ken collects garbage trucks. When I found this guy in a box whilst preparing for a garage sale, I knew it had to go to Ken. This guy was often the last person to see our old toys…. 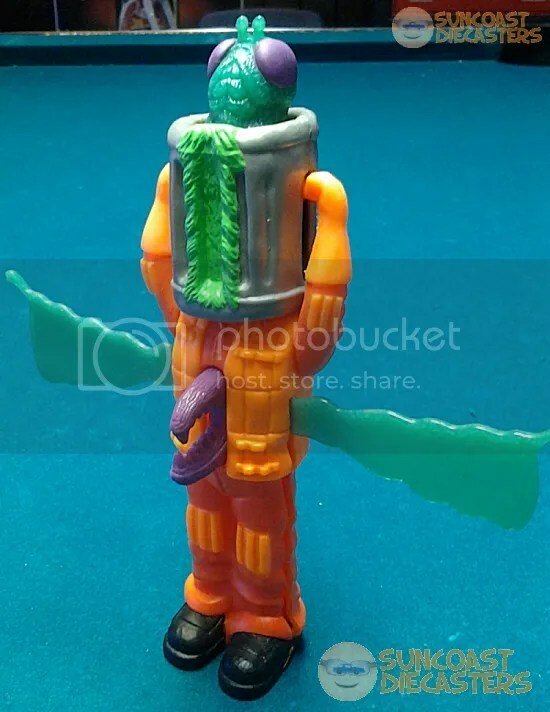 It seems odd, though, that a toyline such as The Real Ghostbusters would include such a mundane character as a garbage man. After all, there’s nothing creepy or horrifying about a garbAAAUUUGGGHHH!!! 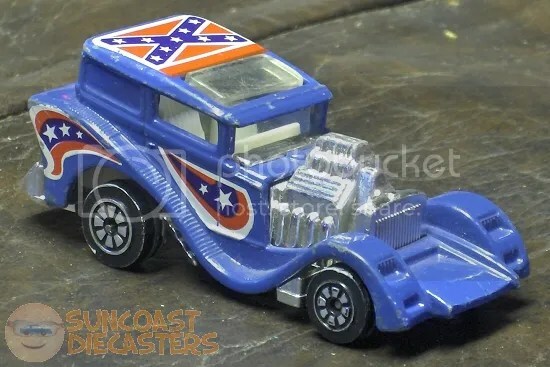 From Big Tractor Mike I purchased this gleaming goodie: a nicely-detailed ’32 Ford coupe, done up in, I don’t know, some sort of “racing” theme by some “Bill Elliot” guy. Better than an Oscar statuette. Well, more affordable than an Oscar statuette. The Ford was not the only thing I got from BTM. 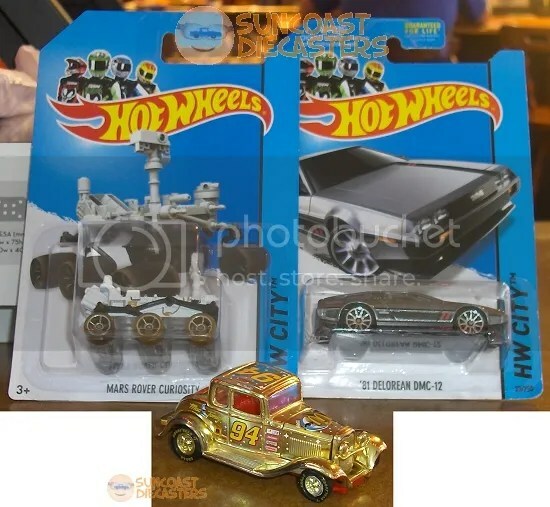 I also picked up a DeLorean (not in Back to the Future configuration), and another Curiosity rover. Yep, I gots two of ’em now! Space travel + Time Travel = retro coupe. Prove me wrong, I dare ya. 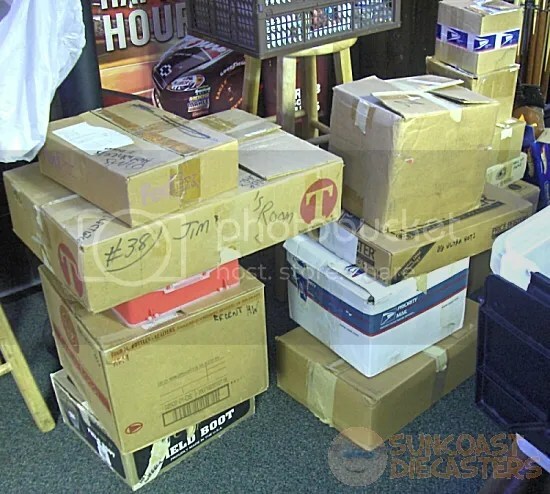 As we were packing up at the end of the meeting, BTM offered to buy Jim’s entire stock. Jim accepted. 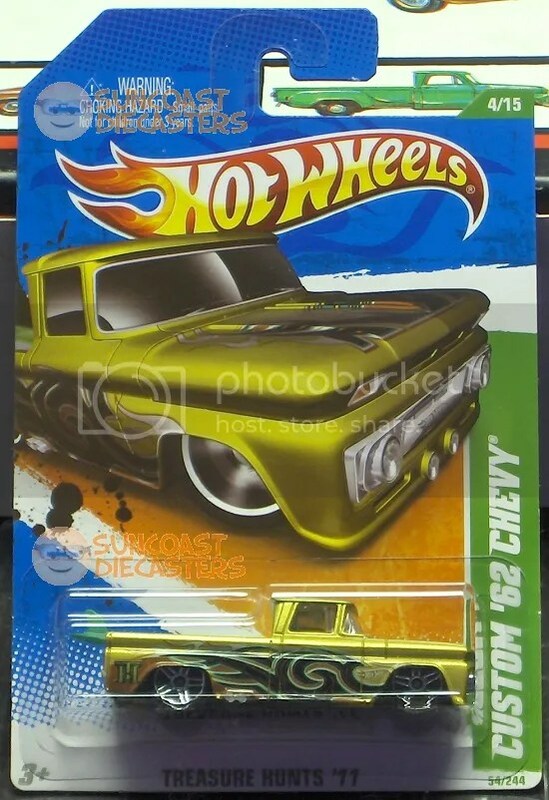 Not wanting to miss an opportunity, I bought this Hot Wheels-liveried Deora from BTM before he hauled everything out to his truck. 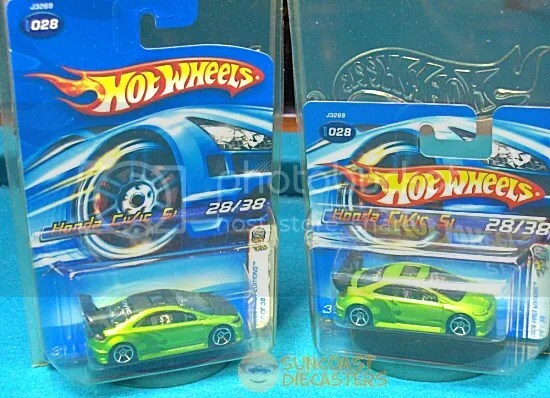 I do collect Hot Wheels-liveried vehicles; however I don’t buy every one I find, because either the model itself doesn’t appeal to me, or the livery just doesn’t work well on that model. 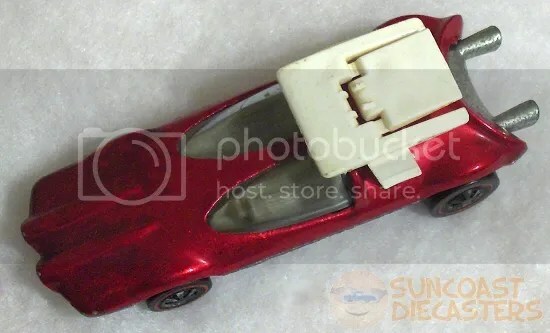 But this Deora looks really sharp, and I’m glad I own it. From Jim, to Mike, to me. That’s the kind of commerce I like. Especially the “to me” part. 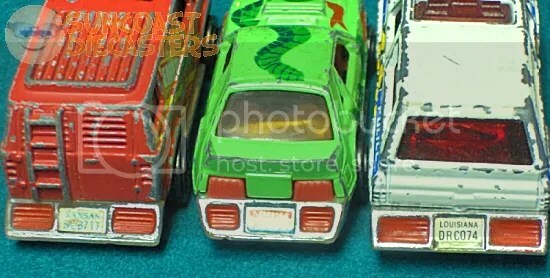 From me, BTM bought this random assortment of Micro Machines miniature vehicles. I was going to type “Micro Machines micro machines”, but I decided not to. 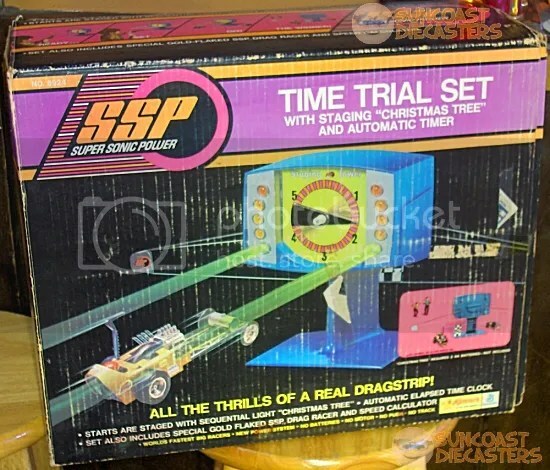 Also from me, Mike also bought this Kenner SSP Time Trial Set. I advised him that one of the hubs for the ends of the catch-arms is missing, and that the bulbs for the “christmas tree” don’t light (the actual interior lighting is basically a pair of glorified penlight flashlights, which should be repairable), but that otherwise it works. In fact it’s possible to “time” a race without seeing the lights, because you can hear them. Yes I actually typed hear them. The lights are not LEDs, nor are the bulbs electromechanically switched by the timer. 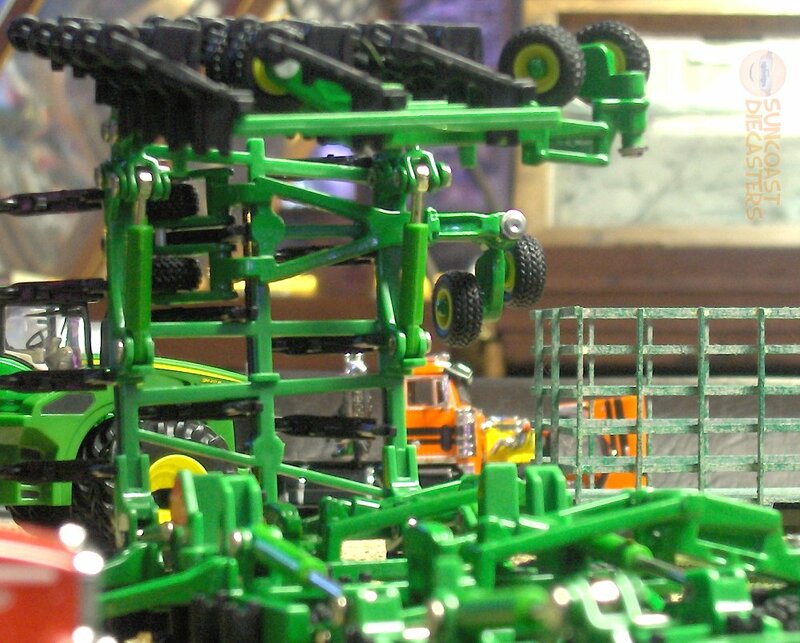 Rather, they’re mounted in swing-arms mechanically linked to the timer (which winds like a kitchen egg timer). When activated, the timer causes the arms to loudly clunk-clunk-clunk their way down from red to green before activating the seconds dial on front. So, players can actually time a race start by simply waiting for the last “clunk”. …And it really really works! Aside from that one hub & the light issue, the set is remarkably complete. 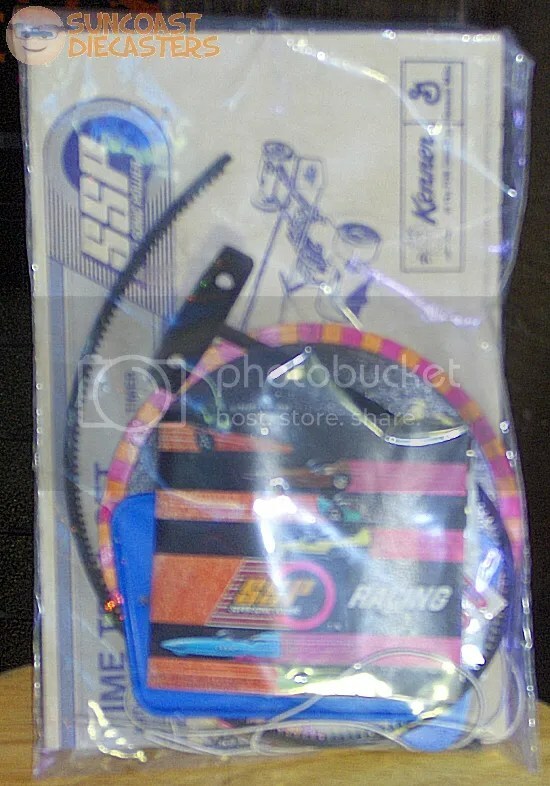 The plastic baggie prevented me from getting a better focus, but still you can see here the instruction sheet, T-pull, speed calculator, flag, decal sheet, mini-catalog and catch-string. Do not use if Freshness Seal is broken. Oh my, oh my, oh my. Whatever do we have here? I tell ya, it pays to clean the garage. 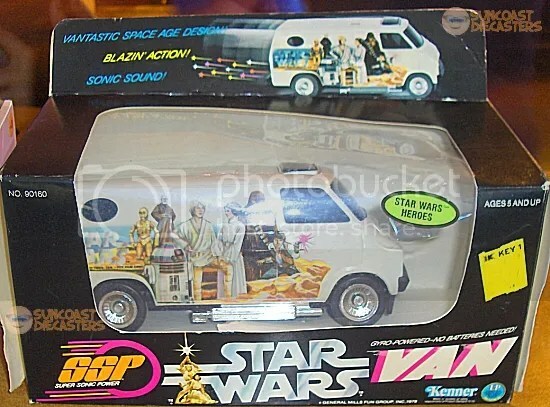 We continue the Kenner SSP theme (as well as the bought by BTM from me theme) with this lovely, lovely thing. 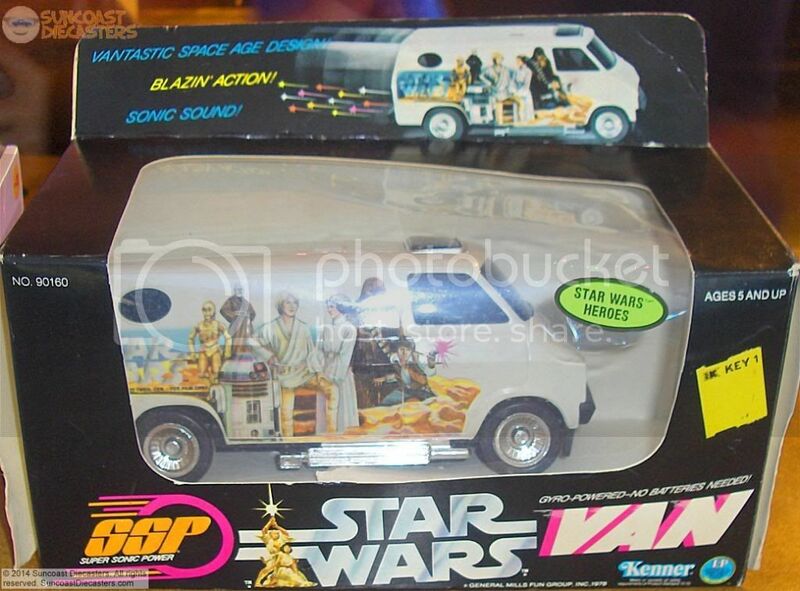 Kenner combined two great properties, SSPs and Star Wars, to provide us this magnificent thrill machine. And look! : it even has its original box! With our very successful and well-attended December meeting, 2013 ended well. I’m sure our upcoming January meeting will get 2014 off to a good start. See you at the meeting! Yes, indeedy! Our Calendar has been updated to show all regular meetings throughout 2014! Of course, it also features the last few open items of 2013. See you in December!